This solution overview training for SAS Expected Credit Loss prepares members of your organization's project team to be effective and informed participants in the requirements development and solution design phases of your implementation. The course includes hands-on demonstrations and teaches you key concepts, terminology, and base functionality that are integral to SAS Expected Credit Loss. After completing the course, participants will be prepared to make key business decisions. Describe the role and use of each component of SAS Expected Credit Loss . Describe the process of calculating expected credit loss. Describe the required input data sets for each component. Leverage SAS Business Rules Manager to publish rule flows in support of data quality. Use SAS Model Implementation Platform to create the required objects in order to generate Expected Credit Loss output data sets. Components of SAS Expected Credit Loss. Managing the CECL process flow. Loading data and data quality validations. Creation of portfolio and supporting data. Introduction to SAS Model Implementation Platform. 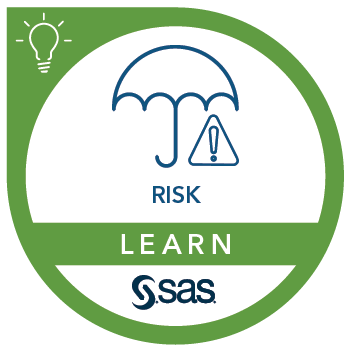 Introduction to SAS Risk and Finance Workbench. Using worksheets for CECL analysis.